Thinking of Befriending a New Pet? Are you considering owning a pet in your house? In this article, we will help you approach the actual world of owning pets, and asking the right questions before proceeding. There is no doubt that pets are great company for children and adults alike, but besides that, modern scientific studies have proved that pets are helpful in keeping their owners in good health. In fact, the outdated idea that pets might help spread disease is no longer valid, now that there are scientific ways to deal with it. Pets help you exercise. They would keep you more active at home and outside. They expect you to play with them and motivate you to take care of them. Given this, you will find that this is not only a daily routine, but is one that gets your moving while being fun and interactive. Pets helps you lower your blood pressure. Yes it's true! Just playing with your pet or watching it play would help you relax by lowering your heart rate and blood pressure. Medical tests have proven that pets have the potential to influence hypertension patients, by lowering stress and changing moods. Pets reduce the risk of allergies and asthma. There used to be an old thinking that children and the elderly are prone to allergies and asthma around pets, yet recent researches indicated that children who grow up with furry pets are less prone to develop any. It is also believed that pets also make people at home less likely to develop eczema. Owning pets may indirectly strengthen your immune system. Pets can improve personal mood in general. Pets are friends of everyone in the family because they are a great source of love and cute friendship. In addition, pets are very playful, so they keep everyone cheered and relaxed. Their cute moves and cuddling is definitely a source of constant entertainment. Pets can relieve the fatigue. After a long day at work, playing with your pet can decrease brain activity and increase feelings of comfort and tranquility. This is why, they are also believed to help people with symptoms or stress and anxiety. People who own pets are less prone to depression, anxiety, and tension than others. 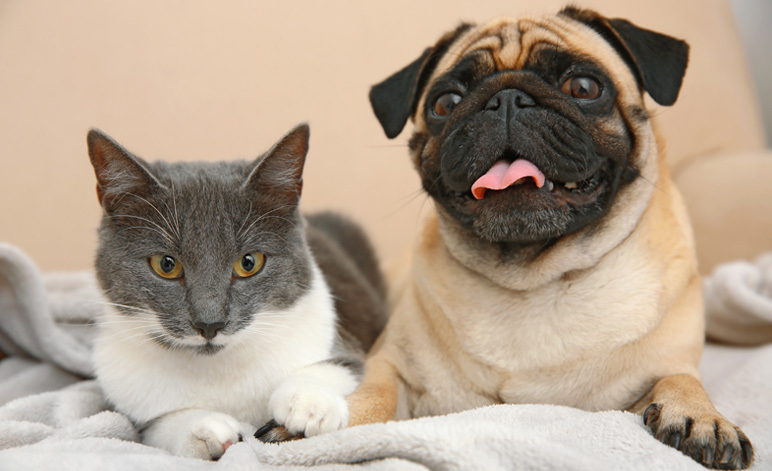 Pets can also help you meet new friends, mostly pet lovers who will share the same values and lifestyle that you have. Pets help to instill educational values. Besides all the fun and happiness they bring you, pets instill many educational benefits for children and adults. Since owning a pet helps you and your children understand love and care, become selfish, be responsible and loyal. They teach us basic lessons in building stronger characters. Having said that, are you still reluctant about adopting a pet?